Publisher: Musson Book Company Ltd.
John Buchan, 1st Baron Tweedsmuir GCMG GCVO CH PC (26 August 1875 – 11 February 1940) was a Scottish novelist, historian and Unionist politician who served as Governor General of Canada, the 15th since Canadian Confederation. In 1910, Buchan wrote Prester John, the first of his adventure novels set in South Africa, and the following year he suffered from duodenal ulcers, a condition that later afflicted one of his fictional characters. At the same time, Buchan ventured into the political arena, and was adopted as Unionist candidate in March 1911 for the Borders seat of Peebles and Selkirk; he supported free trade, women's suffrage, national insurance, and curtailing the powers of the House of Lords, though he did also oppose the welfare reforms of the Liberal Party, and what he considered to be the "class hatred" fostered by demagogic Liberals such as David Lloyd George. With the outbreak of the First World War, Buchan went to write for the British War Propaganda Bureau and worked as a correspondent in France for The Times. He continued to write fiction, and in 1915 published his most famous work, The Thirty-Nine Steps, a spy-thriller set just prior to World War I. The novel featured Buchan's oft used hero, Richard Hannay, whose character was based on Edmund Ironside, a friend of Buchan from his days in South Africa. A sequel, Greenmantle, came the following year. 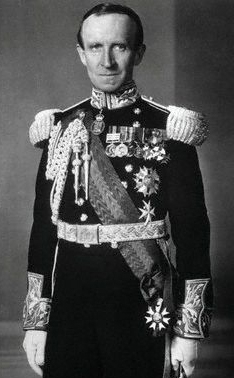 Buchan then enlisted in the British Army and was commissioned as a second lieutenant in the Intelligence Corps, where he wrote speeches and communiqués for Sir Douglas Haig. Recognised for his abilities, Buchan was appointed as the Director of Information in 1917, under Lord Beaverbrook—which Buchan said was "the toughest job I ever took on"—and also assisted Charles Masterman in publishing a monthly magazine that detailed the history of the war, the first edition appearing in February 1915 (and later published in 24 volumes as Nelson's History of the War). It was difficult, given his close connections to many of Britain's military leaders, for Buchan to be critical of the British Army's conduct during the conflict. Following the close of the war, Buchan turned his attention to writing on historical subjects, along with his usual thrillers and novels.--Wikipedia. Epub 20130751.epub If you cannot open a .mobi file on your mobile device, please use .epub with an appropriate eReader. Mobi/Kindle 20130751.mobi Not all Kindles or Kindle apps open all .mobi files.